Usually my view on cakes and desserts is that if they’re not made of chocolate then they’re not worth eating. But whilst trawling through my piles of recipes I noticed that I’ve saved no less than four different versions of yoghurt cake from various magazines/websites. Four! So clearly deep down I’ve been hankering to bake one for some time. Perhaps because it sounds like it should be really healthy: yoghurt equalling calcium which obviously equals healthiness. Sadly, on further examination of the ingredients list, it turns out that, shock horror, it really isn’t healthy at all. Luckily for me then that I’ve inherited my mother’s ability to justify anything. 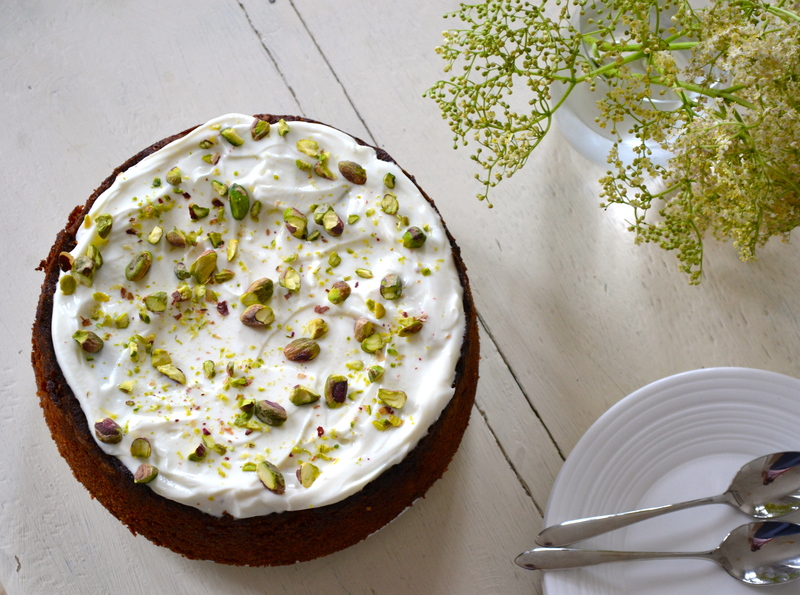 The inclusion of yoghurt makes eating this cake for breakfast completely acceptable and positively good for me. After all, I’d usually have yoghurt with my granola wouldn’t I?! 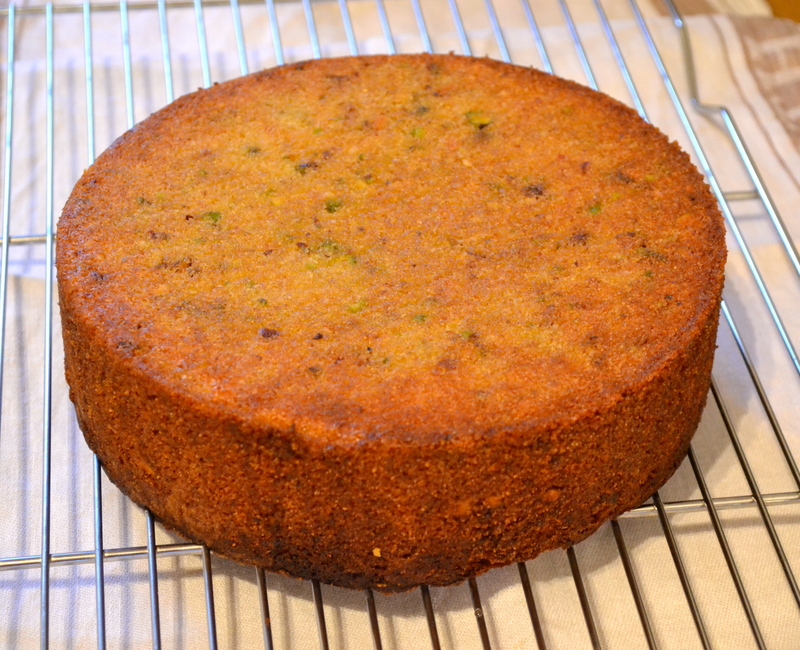 Of my 4 potential cake candidates I decided to go with Jamie Oliver’s pistachio, yoghurt and elderflower version. I’d spotted that the elderflowers were out in all their glory at the weekend and had grand plans to A) make some elderflower cordial and B) decorate the cake with said elderflowers to copy Mr Oliver’s version. Grand plan A was quickly abandoned when I remembered that we have about 6 bottles of elderflower cordial left over from our wedding last year – the perfect way to use some of it up. Grand plan B was sadly scuppered as, somewhat unsurprisingly, it turns out elderflowers have a very short shelf life and really don’t enjoy trips away from the countryside into London. Despite the lack of floral decorative flourish, this is a really beautiful spring or summer cake. It’s got a lovely texture thanks to the polenta, pistachios and ground almonds you use in place of flour (also making this gluten-free if you use gluten-free baking powder) and the syrup keeps it from being dry (even if, like me, you attempt to sabotage it by leaving it in the oven for 15 minutes too long!!). The sweet elderflower yoghurt topping could also make this the perfect dessert. Happy baking! 1. Preheat the oven to 180°c/160ºc fan/gas mark 4. Grease and line a 20cm spring-form cake tin. 2. 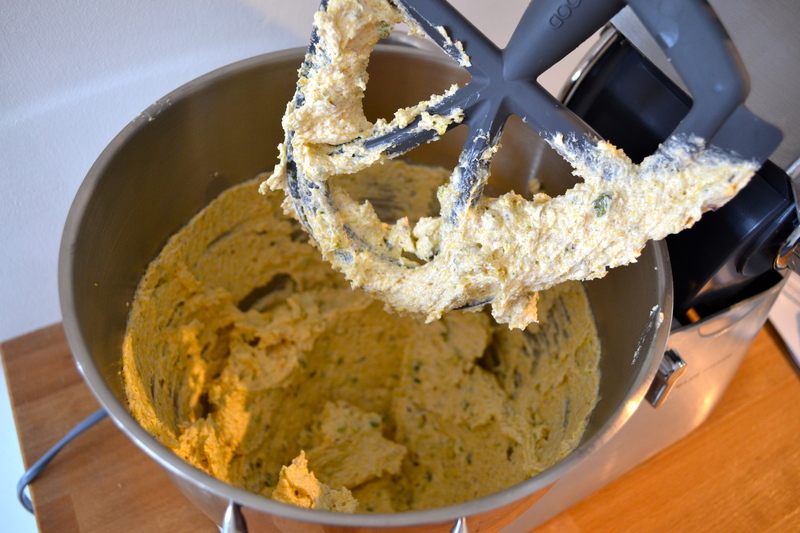 Using either a hand mixer or stand mixer, beat together the butter and sugar until light and fluffy. 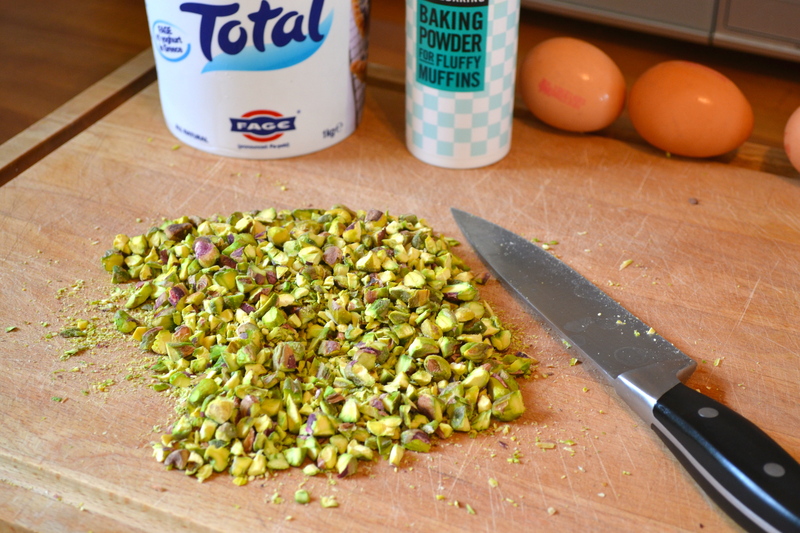 Add the pistachios, almonds, polenta, baking powder, and yoghurt and mix well. Crack in the eggs one by one and mix in. 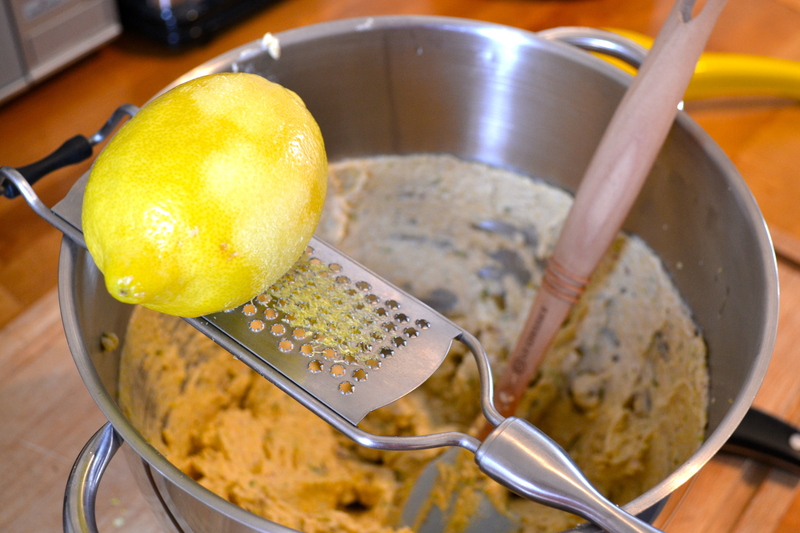 Add the lemon zest and juice, mix briefly once more to combine. 3. 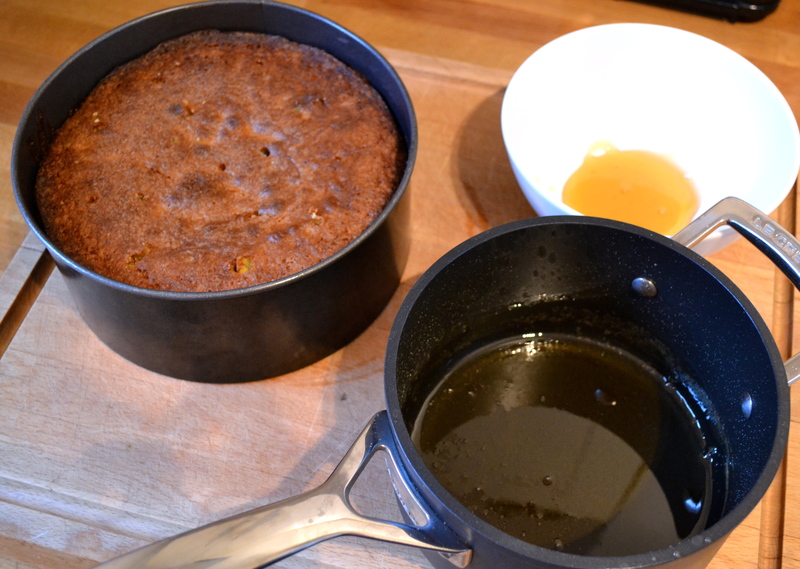 Pour the mixture into the cake tin. Bake for 45-50 minutes. Test to see if it’s done by inserting a skewer or toothpick into the middle – it will come out clean if the cake is done. Leave the cake to cool in the tin for about 20-30 minutes. 4. Meanwhile make the syrup by placing the honey and cordial in a small saucepan and bringing to the boil. Reduce the heat and simmer for 5 minutes until it thickens. Taste and add a squeeze of lemon juice if liked. 5. Make a few holes in the cake with a skewer or toothpick, and reserving a couple of tablespoons of the syrup for the icing, drizzle the rest over the still warm cake. Leave the cake to cool a little more in the tin (I waited about 20 minutes) then turn out onto a cooling rack to fully cool. 6. 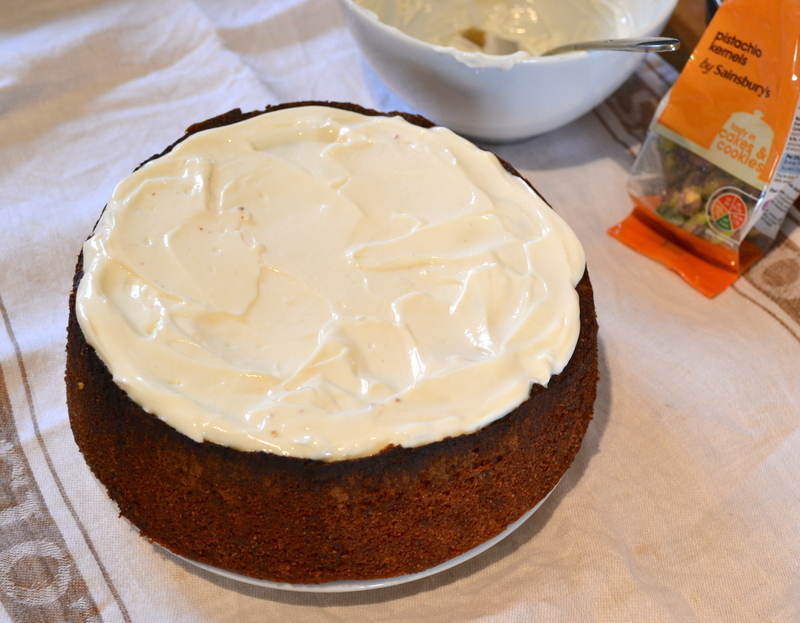 To make the icing, mix the yoghurt, icing sugar and elderflower syrup together until smooth. 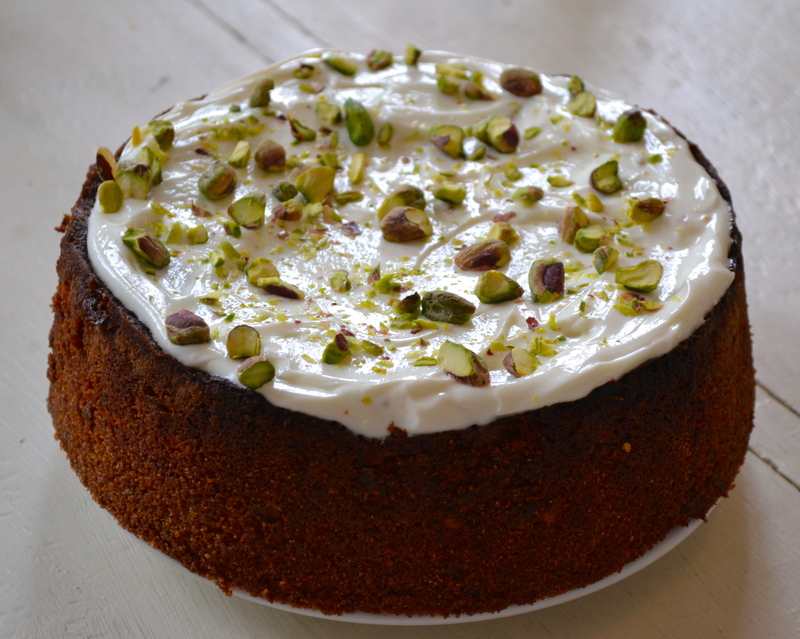 Spread over the cooled cake and decorate with a scattering of chopped pistachios. Thanks Hannah – cakes and desserts are just so much more photogenic than mains and starters!! You hurt Cake is my new favorite cake! So moist 🙂 Yours looks delicious! Thanks! 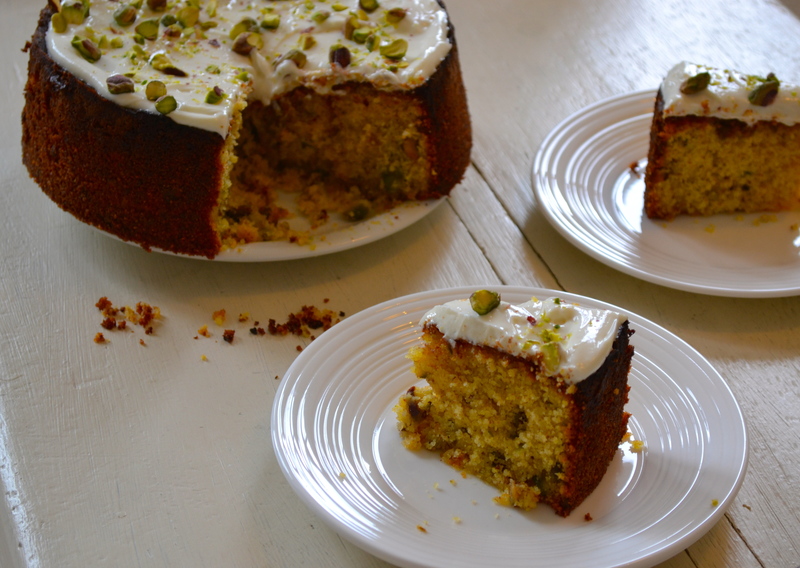 It really is good – I can’t believe I’ve been missing out on yoghurt cake for so long!